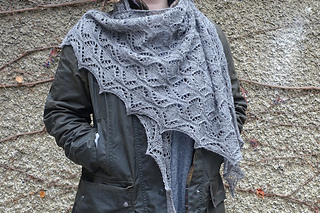 Only the English version is available on Ravelry ! 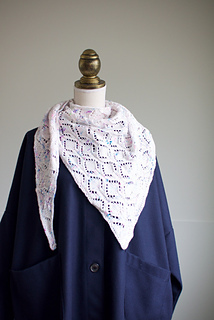 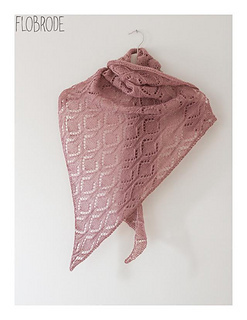 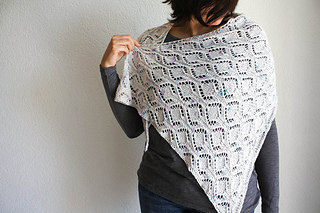 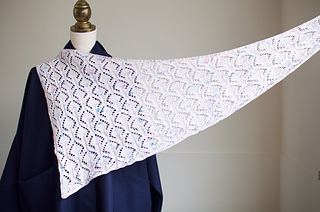 “Volute” is a pretty shawlette, light as a feather and shaped like a wing. 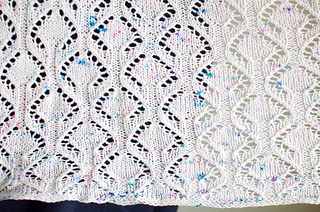 Funny and pleasant to knit, its unique construction allows you to easily adapt the final result to the amount of yarn that you have. 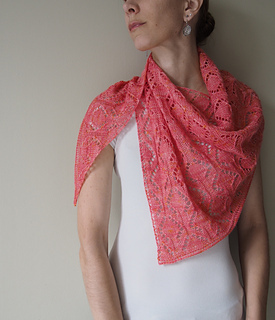 The lace pattern, runs all over the project with its delicate scrollwork, for an elegant and dainty style.